Two studies led by Dutch researchers were focused on determining whether disruptive patients may affect the way doctors diagnose them or if they just receive worse care from physicians for acting like jerks. It’s no surprise that doctors or physicians have to deal with difficult patients on a daily basis; however, the team of researchers developing the studies says that being a jerk to their physician could harm the quality of medical care. And is fair to assume this, given that doctors are humans as well, and are all vulnerable to emotional responses. So if a patient is disruptive, mean, or angry towards the one treating them, it will usually generate an equivalent emotional response from the doctor as a result. The Dutch team of researchers conducted two similar studies in order to analyze the potential impact of rude patients on a doctor’s ability to diagnose them. The study was published on March 14 in the journal BMJ Quality & Safety on their website. 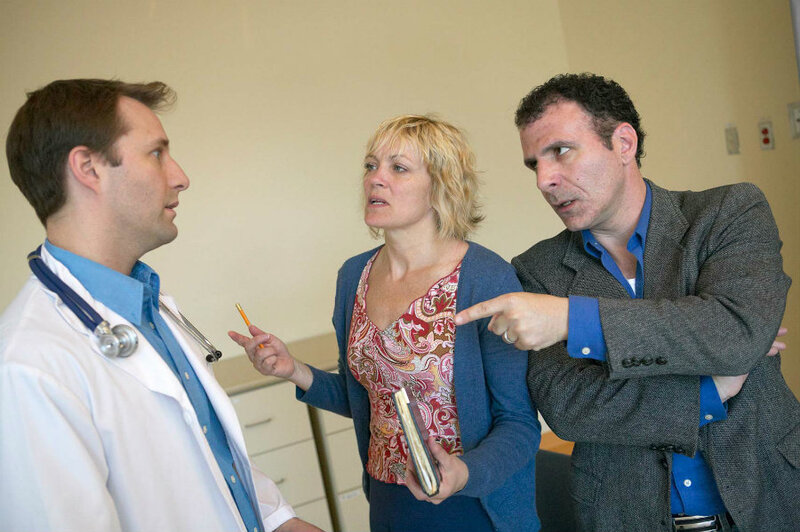 After analyzing both good and bad outcomes from both studies, researchers found that disruptive patients or patients who are rude to their doctors are more likely to end up with a wrong diagnosis. The team of researchers was able to test both studies by studying 63 medicine physicians as well as 74 internal medicine residents. In order to determine whether patients were getting wrongly diagnosed, researchers assessed the accuracy of their diagnosis in the face of disturbing patients. Apparently, being a jerk towards a treating doctor will not only waste the patient’s money because he was given a wrong diagnoses but also threatens their own health as many wrong diagnoses go unnoticed. Fortunately for physicians, only a 15 percent of patients treated in doctors’ offices are aggressive, disrespectful, or overly demanding, according to Dr. Silvia Mamede, who worked on both studies. Most patients figured out early enough that being polite and having a neutral attitude towards their doctor helps them focus on making a correct diagnosis. This included with the added benefit of making friends with the patient’s physicians, which is a plus given that having a doctor for a friend can do no harm. Dr. Mamede is an associate professor at the Institute of Medical Education Research Rotterdam at Erasmus Medical Center in the Netherlands. She says that doctors may be provoked by disruptive, disrespectful or aggressive patients to make a diagnostic mistake. Although is understandable for patients to show a mean attitude given they may be going through harsh times, it’s important for them to remember that is best for them to be nice to their doctors. Patients who are rude to their physicians will end up harming themselves due to a mistaken diagnosed by the doctor caused by the patient itself.